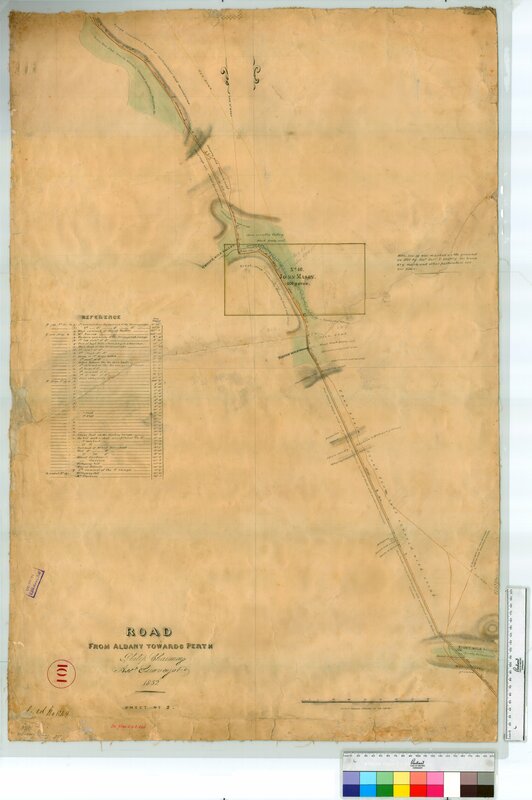 Item Roads 101 - Road from Albany to Perth (crosses 11 mile bridge), sheet 2 by P. Chauncy [scale: 12 chains to an inch]. Road from Albany to Perth (crosses 11 mile bridge), sheet 2 by P. Chauncy [scale: 12 chains to an inch]. Confirm Item Request: Road from Albany to Perth (crosses 11 mile bridge), sheet 2 by P. Chauncy [scale: 12 chains to an inch].